Harris acquired Exelis Inc in 2015; Exelis having previously acquired Applied Kilovolts in 2012 to complement the high voltage supplies and detectors they were already supplying into the medical, scientific, pharmaceutical and food safety instruments. 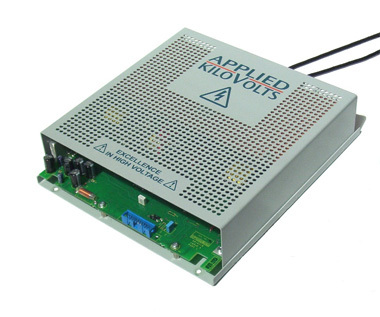 Based in Sussex England, Applied Kilovolts Ltd produces critical components for global analytical instrumentation customers, laboratories and research institutes, under the brand names of Applied Kilovolts Ltd and Brandenburg. Harris and Applied Kilovolts have the expertise needed to handle virtually every high voltage (HV) power supply requirement, detection system, and subassembly requirement. This expertise has been acquired through more than 35 years of experience designing application/platform specific HV power supplies and more than 20 years in detector design and manufacture. We bring to your organization the confidence that comes with a long, demonstrated history of doing what is required to supply mission-critical systems. These systems are deployed where failure is not an option in aerospace and military industry sectors. The same design elements are incorporated into analytical instrument products to provide long operating life and optimal performance. We assign dedicated project management teams to your organization’s project to ensure timely and effective process progression and completion. We have access to a vast array of resources (infrastructure, personnel, technology), which have contributed to our standing as a top-tier supplier of approximately US$8 billion) of technology products and services annually. We bring to your organization commitment, dedication, and professionalism, which has been earned through innovation and performance and will translate to your products and reflect our leadership position.